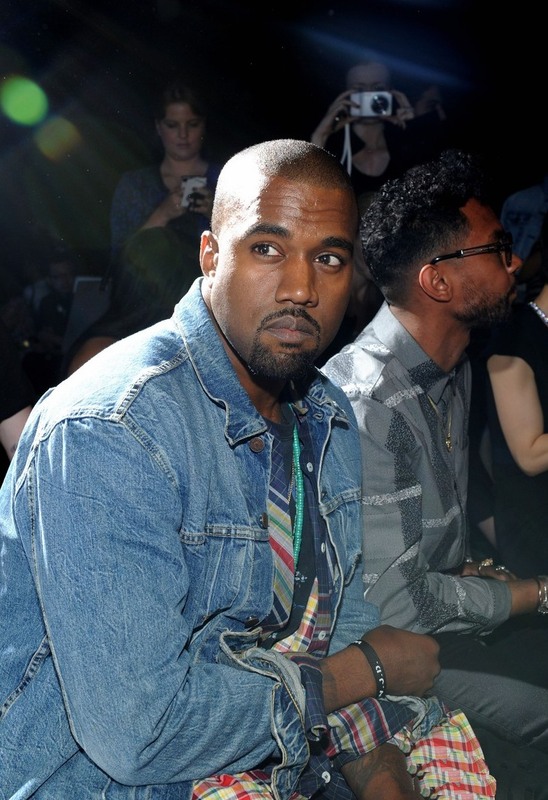 Kanye West was spotted in the front row of the Alexander Wang fashion show, held during Mercedes-Benz Fashion Week Spring 2014 at Pier 94 in New York City. He was wearing a very cool denim jacket and looked quite serious and concentrated – bet he was checking out a new wardrobe for his post-baby girlfriend, Kim! She certainly will need it LOL! !